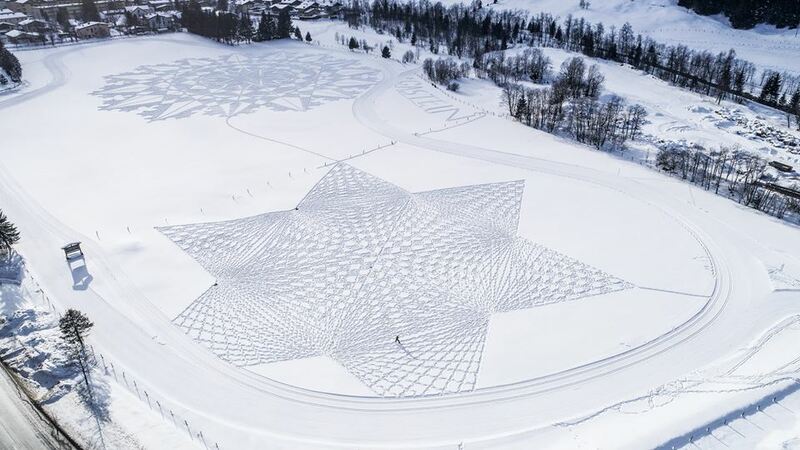 Simon Beck creates massive, sprawling, pieces of art in the snow (and, in the warmer months, the sand) using just snowshoes and a compass. He designs each drawing beforehand, a part of the exercise that he doesn’t exactly enjoy doing, but the ends justify the means, he says. What he does love, however, is going out into the mountains, finding untouched snow, and getting to work. 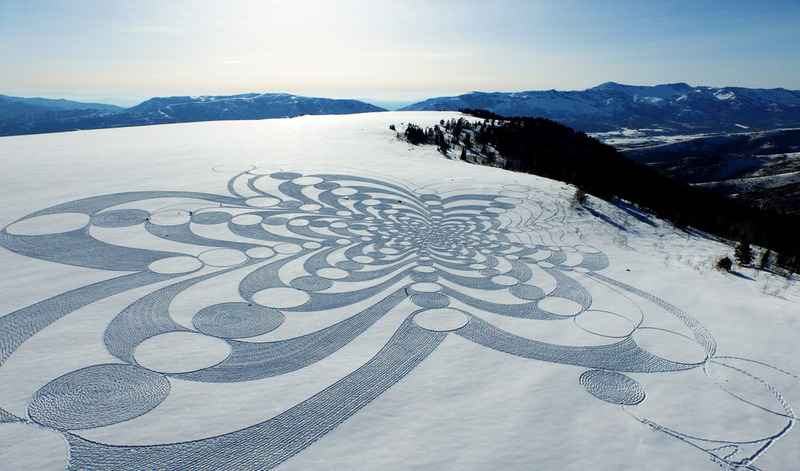 This work consists of Beck walking through the snow for an average of about ten straight hours to bring his design to life. When he is finished, he climbs to a vantage point, takes a picture with his camera, and gives the space back to mother nature. He thinks of it like a movie set—built, shot, taken down. As long as he gets the picture, he is happy. Perhaps this is why he even surprised himself with the results the first time. Five years later, he decided he wanted to take his work more seriously. He put more effort into building a portfolio of his art and creating an online presence. Fourteen years and over 250 snow pieces later, he nows makes a living from it. He has done two Ted talks, created a clothing line, printed a book, and has traveled the world creating his designs. 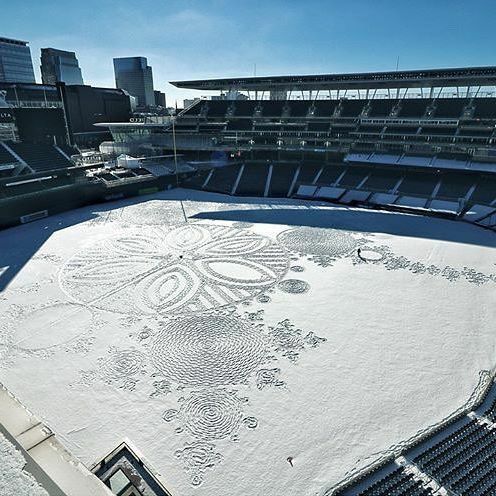 Most recently, Beck created a piece in Target Field in Minnesota, home of the Minnesota Twins, for The Great Northern, an annual 10-day winter celebration in Minneapolis and Saint Paul. He shared with Resource Travel his thoughts about working in a baseball field compared to a mountain slope. The results are better than that. Stunning, really. 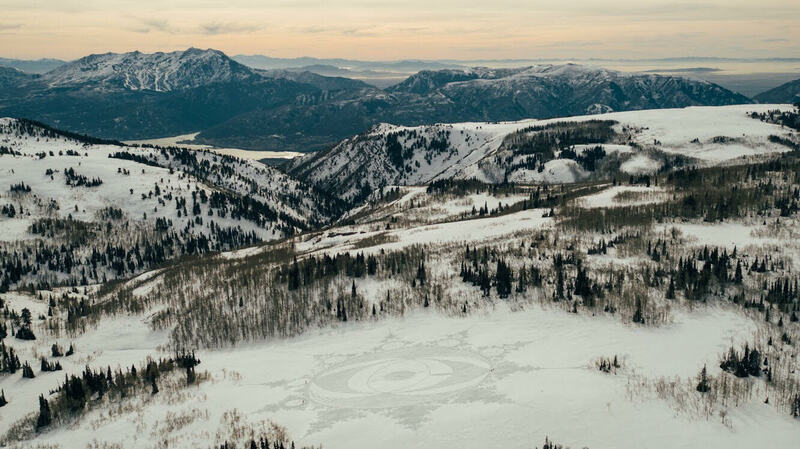 And though the artwork itself may be similar to other pieces he’s made in the mountains, the juxtapositions of his work, framed by the stadium’s metal and concrete core, creates an illusion of natural creation. It’s beautiful. Beck’s reasons for creating his designs has varied of the years—from being commissioned, to enjoyment, to working in a fantastic location, to exercise. But trying to push forth a message about the environment, as he hopes to do with his work, is no doubt one of his most important motivations. 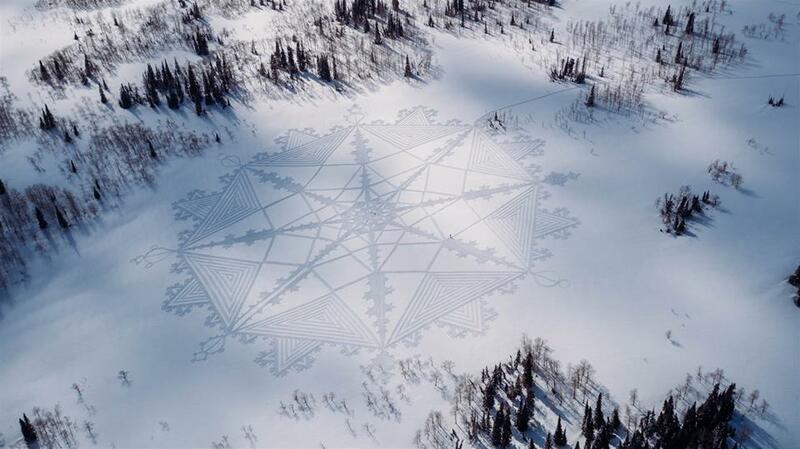 Whether that be in the geometric design, the process of the work itself, or the message he tries to push forth, his artwork, so extraordinary and beautiful, warrants further investigation. And at the very least, he hopes, his designs, composed purely of the environment, should make one consider the implications of human negligence in this world. No matter how you look at it, Simon Beck is doing something both amazing and unique. Follow Simon Beck’s art on his Instagram & Facebook and grab a copy of his is book here.